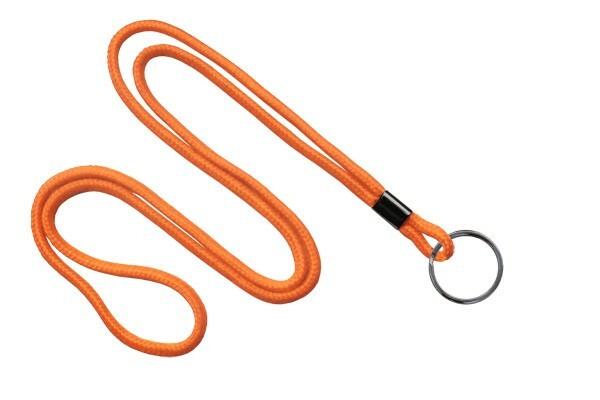 This round braid lanyard with black-oxidized split ring is made from durable polypropylene material. 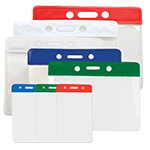 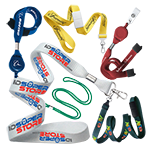 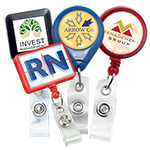 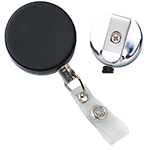 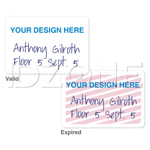 The lanyard's split ring allows users to attach multiple keys and ID badges. 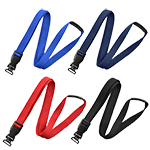 The lanyard is finished with a metal crimp and is available in several solid color choices. This split ring round braid lanyard is ideal for industries where workers carry more than one attachment, such as the janitorial or security fields.